Macufe Theatre proved just how brilliant local talent is, and how foolish we are for neglecting it, writes Thato Rossouw. In discussions about Macufe it would be easy for one to believe that theatre is not a part of the festival. 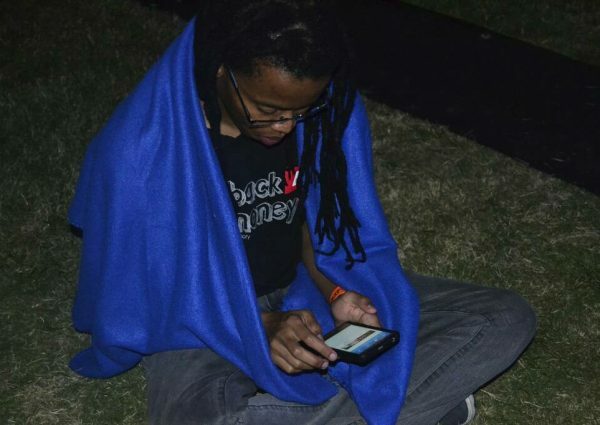 But, despite its scarcity in the tongues of those who flatter their friends with stories about times once had at the festival, theatre is not only a feature at Macufe, but one that is planned and executed with perfection. 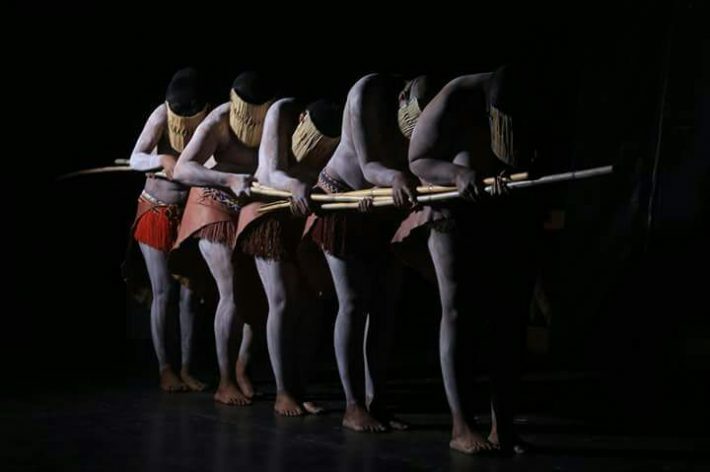 This year’s Macufe Theatre offerings included three theatre productions: Paleho, Mantsho and Poetry Cries, and were concluded with the poetry show, Ha E Kupe. All shows were hosted at the Andre Huguenet Theatre at Pacofs, and were spread out from the second to the fifth of October 2017. First on offer, on the Monday evening of 2 October, was Poetry Cries—a musical theatre show that laments and comments on the cruelties of human trafficking, and attempts to bring to light the difficulties faced by the women who have fallen victim to it. The show features an all-women cast and invites the audience into their journeys as women who have fallen victim to the grim hands of the South African human trafficking industry. 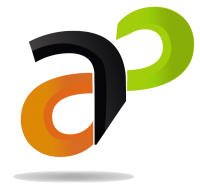 It is both crude and serious in its delivery, and doesn’t hold back in terms of execution. With brilliant directing and exquisite acting, the show is mostly set in the house in which these women have been forced to live their new lives, and features each of the women telling their own heart-wrenching stories about how they ended up where they are. Engulfed by the silence and darkness of the theatre, the audience is made to sympathise with each character as they tell the gruesome stories that led them to living their current lives, and asks of them to see them for the victims of human cruelty that they are. The show was, by far, a rather grim and dark way to start the week. 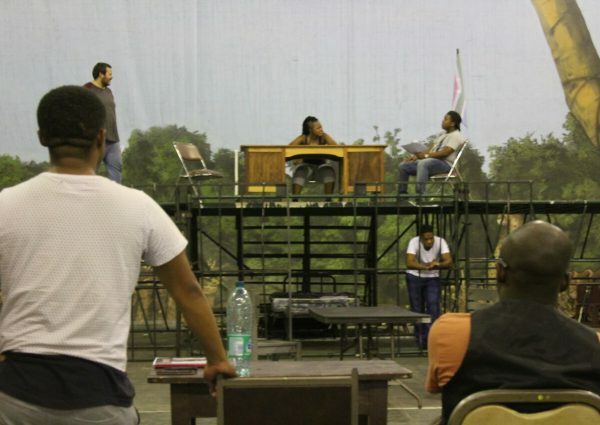 But, because of its brilliance in terms of production, casting, directing, and acting, it also set a high standard for the Macufe Theatre week. Second on offer at the festival, on 3 October, was Mantsho. Mantsho was a rather stuck-in-the-past, typical love story about a young king who falls in love with the wrong woman (Mantsho), and ends up destroying his entire clan as a result. Like most stories written about Sesotho and other traditional cultures in South Africa, the setting is a village and the plot is of a king of the Bakoena Clan and his blinded love for an evil woman. The King fell in love with this woman everybody hated, and against the word of advice from his trusted advisor, decided to marry her. Their marriage, also disapproved of by the ancestors, would later bring famine to the king’s people, and they were left to suffer like they never had before. Seeing his people suffer, the king decided to share his own crops with them, to the vehement disapproval of his wife. Overpowered by greed, the king’s wife then decided to kill her husband and keep all the riches to herself. After her evil act, the village suffered even more famine as a result of the anger of the ancestors, and the king, now acting from the realm of the spirit, worked together with other ancestors to see to it that his wife died and peace and prosperity returned to his people. After his success as an ancestor, the king was then reincarnated in the form of a young man born from the womb of a husbandless woman in the village. The story, while obviously unable to imagine Basotho culture outside of a village setting, was nonetheless an extremely well-choreographed and well-directed piece of art that was filled with enough comedic moments to make watching it a pleasurable experience. In spite of its writer’s visionary shortcomings, the cast of the show took to their designated roles with gusto, and made their characters come to life on stage. Music for the show was provided by a drummer who, hidden behind the curtain, gave the show a rhythmic flow. With the drummer’s spirited thumping echoing in the background, the show flowed effortlessly from one scene to the other. It’s 4 October 2017 and we are here for Paleho, another musical production that tells a story about the difficulties that women go through at initiation schools. 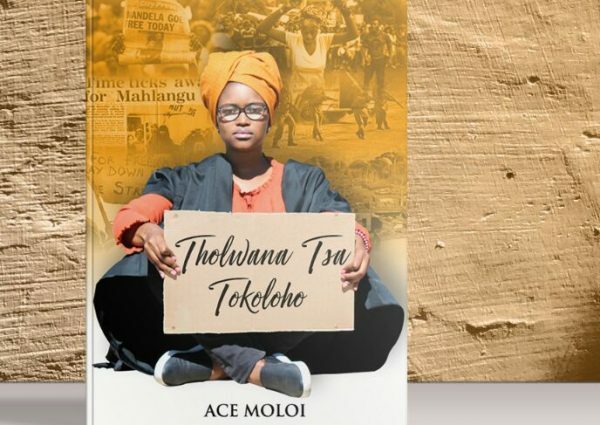 Its narrative follows the journey of self-discovery through a young woman, Paleho, who was raised by a Christian mother, but ended up at an initiation school. The audience is invited to follow young Paleho’s walk as she portrays life’s many ups and downs. The show featured a women-only cast and, like Mantsho, was set in a village—but for a good reason. Often times when we talk initiation schools, it is as if they only concern men. So, to have a story that allowed the audience to go into such spaces and see the difficulties that some of the women who go there have to go through will hopefully open people’s eyes and solicit more anecdotes. What stood out for me on the show are the moments of monologue that gave the audience a feeling of being involved in the story, and not just observing it. They made us feel as though the characters took time off the script to speak to us about their personal thoughts and stories. Paleho’s directing, production, casting, and acting were all of a high quality. It is a totally beautiful project. To close off the week, on Thursday, 5 October, was the poetry show, Ha E Kupe, which was held ‘in the spirit of Oliver Tambo’ and featured poets and artists such as Hape Mokhele, Ladybird, Articute, Masoja Msiza, Tinah Mnumzana and Khonaye, and was hosted by the ever funny Tieho Khaukhau. For a show that was meant to close off a week that was filled with brilliantly produced theatre shows, Ha E Kupe disappointed in its delivery of a grand finale. While the MC of the show did all he could to bring order and laughter to the show, the poetry on offer that night brought the high energy of the week to a plummeting end. A majority of the poets at the show blabbered when they had to perform, and when they eventually did perform, they spout words that are too confusing to even be called close relatives of poetry. First to perform was Tears of Joy. With their own version of a The Soil-esque sound, the group performed songs about their home town, Qwa-Qwa, and the issues and joys that come with living there. Despite having made a few mistakes during their set, the group opened the night energetically and laid the foundation for what would nevertheless become a mind numbing experience of bad poetry. We yearned for poetry in a poetry show. Finally, to our relief, our petition for good poetry was answered when Hape Mokhele graced the stage with her elegant presence and delivered a set worthy of every cent the audience paid. For the few minutes that she was on stage, poetry’s altar was given a worthy sacrifice. Hape was not alone in bringing a worthy sacrifice to the altar of poetry that night, though. 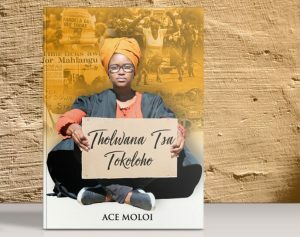 With her was Mohato, a young Sesotho poet who had the audience eating out of the palm of his hand from the first breath he puffed into the microphone to the moment he walked off stage. He opened his performance with a poem he wrote for the late Oliver Tambo, and went on to perform his more of his poems. The night was closed off with the moving music of Khonaye, sending off a week of wonderful theatre – and a mediocre poetry show – in an ecstasy of song and dance.